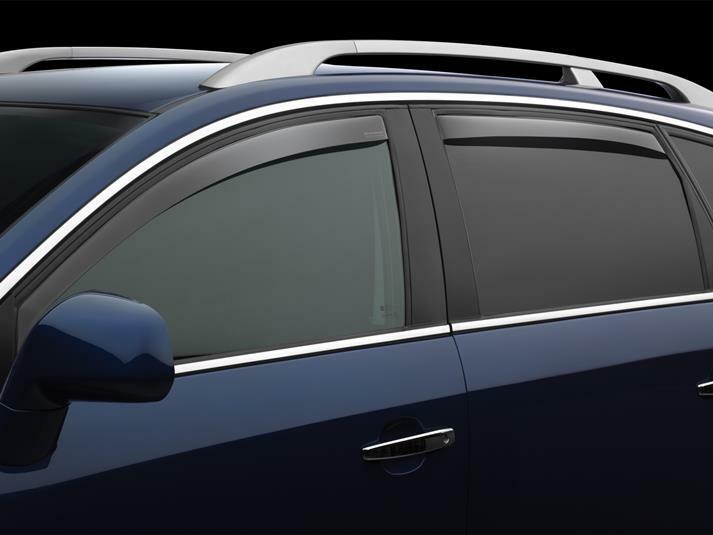 WeatherTech Side Window Deflectors are precision-machined to perfectly fit your 2001 Buick LeSabre's window channel. These low profile window deflectors help to reduce wind noise and allow interior heat to escape. Our light tinted Side Window Deflectors are the only deflectors in the world made with a D.O.T. (U.S. Department of Transportation) approved glazing material. Available in light and dark tint for most vehicles. Designed and Engineered in USA – Handcrafted in Germany. I purchased side window deflectors a while back for a 1999 Buick Century that I drive daily. They were a perfect fit and I was surprised at the quality. I also own a 2001 Buick LeSabre Limited that my wife drives and she recently mentioned that she cannot open her driver's side window when it rains. Automobiles used to have that nice channel on the roof that kept rain from entering the car windows and so as with every other good thing they did away with it to save a nickle. It was a no brainer, and I ordered another set of window deflectors from Weather Tech. They arrived immediately as expected and I installed them, as with the others they are a perfect press fit with no adhesives and are top of the line quality. They are manufactured in Germany and are the typical German attention to detail and not some flimsey made item that would last 6 months or so. I meant to write to you when I first ordered a set for my Century to mention the fast delivery and a quality product and since I am now retired I am giving recognition where recognition is due. Quality and service is still alive and thank you for providing it. I am, Happy with what i ordered , it came so fast.